Still from footage provided by China's state broadcaster on behalf of the government. A Shenzhou-9 spacecraft with three people on board has successfully carried out an automatic space docking mission on Monday. 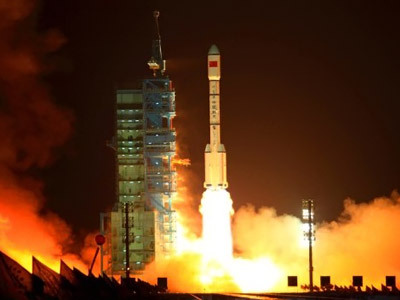 The Chinese are now a step closer to creating a national manned space station. The spacecraft blasted off on Saturday for a 13-day mission. 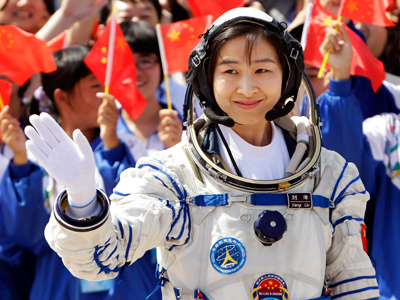 China’s first female space explorer, 33-year-old Liu Yang, is among the three crew members. 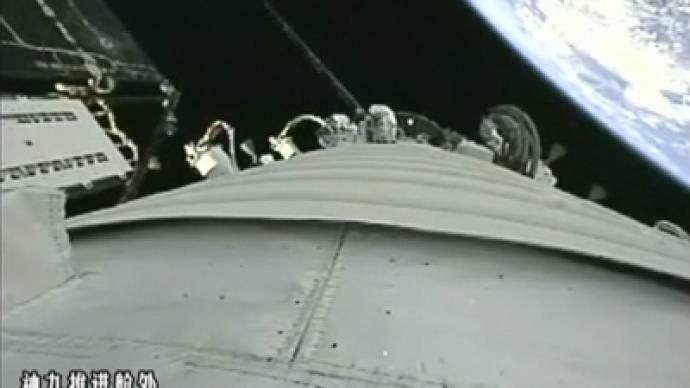 Monday’s docking with the Tiangong-1 orbital module is the third such maneuver performed by the Chinese, although it has not previously been done by a manned spacecraft. Prominent Russian space expert Igor Lisov said the docking was very efficient, and the speed and accuracy was even greater than when Russian Soyuz and Progress spacrafts dock to the ISS. Lisov also noted that this latest success means that China is closer than ever to the two leading 'space nations' – Russia and the US. The crew is expected to undock in six days and carry out a manual docking, which will be one of the highlights of the ongoing mission. The ability to perform the tricky procedure is essential for China’s ambitious plan to have a national manned space station operating by 2020. 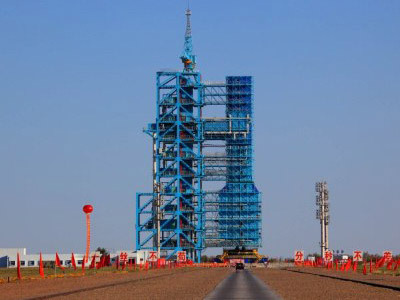 China is pursuing a national space program independently from other space-faring nations as part of its resurgence as a leading global power.